Prof.dr.ir. Wil van der Aalst is a full professor of Information Systems at the Technische Universiteit Eindhoven (TU/e). Currently he is also an adjunct professor at Queensland University of Technology (QUT) working within the BPM group there. His research interests include workflow management, process mining, Petri nets, business process management, process modeling, and process analysis. Wil van der Aalst has published more than 160 journal papers, 17 books (as author or editor), 300 refereed conference/workshop publications, and 50 book chapters. 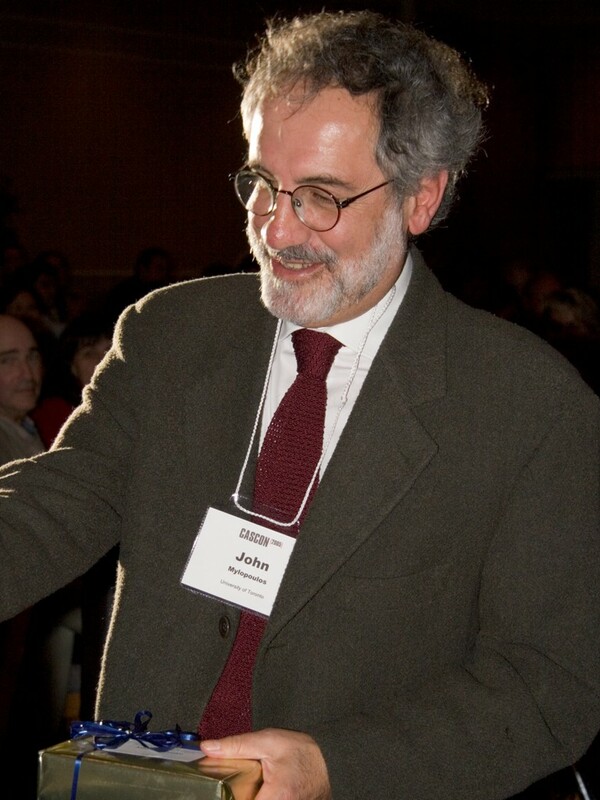 Many of his papers are highly cited (he has an H-index of more than 96 according to Google Scholar, making him the European computer scientist with the highest H-index) and his ideas have influenced researchers, software developers, and standardization committees working on process support. He has been a co-chair of many conferences including the Business Process Management conference, the International Conference on Cooperative Information Systems, the International conference on the Application and Theory of Petri Nets, and the IEEE International Conference on Services Computing. He is also editor/member of the editorial board of several journals, including Computing, Distributed and Parallel Databases, Software and Systems Modeling, the International Journal of Business Process Integration and Management, the International Journal on Enterprise Modelling and Information Systems Architectures, Computers in Industry, Business & Information Systems Engineering, IEEE Transactions on Services Computing, Lecture Notes in Business Information Processing, and Transactions on Petri Nets and Other Models of Concurrency. He is the Academic Supervisor of the International Laboratory of Process-Aware Information Systems of the National Research University, Higher School of Economics in Moscow. In 2012, he received the degree of doctor honoris causa from Hasselt University. He is also a member of the Royal Holland Society of Sciences and Humanities (Koninklijke Hollandsche Maatschappij der Wetenschappen) and the Academy of Europe (Academia Europaea). Prof. Klaus Pohl is a full professor for Software Systems Engineering in computer science at paluno – The Ruhr Institute for Software Engineering – and the Institute for Computer Science and Business Information Systems (ICB) at University of Duisburg-Essen. From 2005 to 2007 he was the founding director and Chief Scientific Advisor (2007-2009) of Lero, the Irish Software Engineering Research Centre. His research interests include requirements engineering, adaptive future internet applications, software services and service-based system, software quality assurance, and variability management. He coordinated several national and international research projects, including the European Network of Excellence on Services and Services-based Systems (S-Cube). Among others, Klaus is member of the steering committee and executive board of the European Technology Platform NESSI (Networked European Software and Services Initiative) and serves on the steering committee of the German Innovation Alliance SPES (Software Platform for Embedded Systems). He served as program chair and general chair for more than 10 international conferences, including 35th Intl. Conference on Software Engineering (ICSE 2013), 9th and 12th Intl. Software Product Line Conferences (SPLC 2005/2008), 18th Intl. Conference on Advanced Information Systems Engineering (CAiSE 2006), Intl. Requirements Engineering Conference (RE 2002). Klaus Pohl is (co-)author of more than 200 peer-reviewed publications and several text books including “Software Product Line Engineering: Foundations, Principles, and Techniques”, Springer 2005, “Requirements Engineering: Fundamentals, Principles and Techniques”, Springer 2010, and “Requirements Engineering Fundamentals: A Study Guide for the Certified Professional for Requirements Engineering Exam - Foundation Level – IREB”, Rocky Nook Computing, 2011.